One of they things you can do to save money is create and follow a budget. I’ve heard Dave Ramsey say many times that when you start following a budget, it’s like getting a raise. I’ve found that to be very true. When you start tracking and pruning your expenses, you find money that you were previously just blowing. This is actually a very good reason and one that I in fact struggled with for many years. I kept trying to use Quicken and MS Money to do a budget. Both of these tools have you create a budget that is the same across all months of the year. While this strategy may work for some, it didn’t work well for me at all, but I continued to try every so often, finally just giving up. I then somehow stumbled upon Dave Ramsey’s book, which had this extremely obvious way to do your budget: do one for each month and create it a few days before that month begins. What baffles me is why I never thought of doing this before? I’m often amazed at how when we are in the thick of things, it’s difficult to see the forest for the trees. So if this is your problem, head over and read my article on creating a budget. I think it will really help. This one is a myth. Many times people don’t want to follow a budget as they thick it’s too complicated or time consuming. In reality, they aren’t complicated at all, especially if you use a software package like You Need A Budget, Mvelopes, or Pearbudget. These packages all guide you through the process and make your budget easy to update and track. Honestly, even without using these packages, budgeting doesn’t take much time at all. For myself, it takes about 15-20 minutes to layout the budget for next month. Now, if you are creating your budget for the first time, plan on maybe 30-60 minutes, but once you’ve done that, subsequent months will take far less time. I recommend updating your budget daily. This should take all of 5-10 minutes and consists of entering the transactions for the current or previous day. If you are married, I also recommend meeting with your spouse to review the budget. We do this weekly, but some of my readers say they only meet once a month. Do what works, but in any case this shouldn’t take more than 15-20 minutes either. The side benefit is that you will be communicating with your spouse and spending some time together! Many people don’t want to be controlled. To be blunt, feeling this way about a budget is just immature. To me, it’s the same as saying I know I have a problem, I know it’s causing me difficulties and holding me back, but I don’t want to do anything about it. If you know you have a problem, and you don’t feel that problem is important enough to fix, than a budget won’t help you. You must first recognize the you a problem AND be willing to take steps to solve it. If you are married or in a relationship, the really great benefit of having a budget is that the budget itself becomes the control point. I know in the past when trying to cut our expenses, I would get upset with my wife for spending what I considered too much. If I did the budget and she had no input, she felt like I was controlling her, and sure enough I was. This was the source of many money disagreements. When we do the budget together, we both have input and we both agree on the amounts on it. Then, if either of us overspend, or can’t buy that thing we want because we didn’t budget for it, the budget becomes the controller, not me, not her. Since we both agreed on the budget, getting upset with each other is a bit difficult. Being able to “blame the budget” has resolved many of our money disagreement issues. Don’t forget, a budget is about managing and tracking your money, not just controlling it. A budget is about telling your money where to go rather than your money telling you where to go. Don’t forget too, you set the budget limits and you can make them be whatever you want as long as your outgoing is less than or equal to to your incoming. Unfortunately, this one is also a very popular reason. I don’t believe it though, how can you not care? When you go the grocery store to buy food and your debit card is declined, you care. When your child needs lunch money and you don’t have any, you care. When your utility bill comes due and the balance in your checking account is less than the bill amount, you care. I could go on and on with examples like this, but the bottom line is that unless you have some mental health issue or have a severe addiction, you care. You can deny it all you want, but you do. Want to quit being afraid of the ATM…you know, that feeling you get when you need money, you go to the ATM, and then the whole time wonder if you are going to get the dreaded “Insufficient funds available for that transaction” message? Ever watch the total for your groceries come up, swipe your debit card and pray the transaction will be approved? Or worse, ever had to start removing items until the transaction approves all the while the people in line behind you just keeps getting longer? Create a budget and follow it. As if by magic all of the above problems go away. When you budget and track your money, you know how much you have, you know how much you can spend. Simple as that. Don’t follow a budget? What is your reason? Did you fight budgeting and now do? What caused you to fight the process for so long? Add a comment! I use to think budgets were too time consuming. The first time did take awhile as I had to remember to include all my expenses. Afterwards, it got quicker. Now it takes 10 minutes to review and adjust my budget each month. I think another reason is it’s hard to get a new habit going. Inertia can definitely be a major hurdle. So true! I find having a budget gives me real peace of mind as long as I stick to it! That’s the only part that gives me trouble, but I’m improving. 1. They’ve done it once, and it didn’t work. 2. The budget is all well and good, but doesn’t provide true barriers to spending and wasting money day-to-day. Starting to actually follow a budget for the first time is a bit like going on a diet. It’s really hard at first because it means adjusting your lifestyle and being concious of what you are spending or eating, respectively. The first month or so is the hardest, but I think it gets easier as you get used to the new way of doing things. @ Ken Clark — Good point. You can create a budget, but it doesn’t do any good if you don’t follow it and change your way of doing things. But, if a budget is created accurately, how can it “not work” short of not following it? I recently started putting a budget together, and I’ve found it helps a lot! In the past, I budgeted when plenty of money was coming in, but stopped when the money got tighter. Big mistake! Anyway, I reworked everything when Lynnae at Beingfrugal.net did her series on budgeting. She had some good tips for when income varies…and when I followed the tips, it worked. At first it was difficult because we were behind on bills, but gradually we were blessed with more income. Instead of spending more as the income came in, I stayed with a set amount each week and now there is a surplus, which will help when we have lower income weeks. And in the midst of all of this, we paid a $1200. tax bill! I appreciate so much the info and advice you and Lynnae give each day…it’s really making a difference! I’m sure I’m not the only one helped by your posts. Thanks so much. Quicken and Money are useless for budgeting. I use a Google Spreadsheet. Every month I simply copy the past month’s sheet into a new sheet, make any changes that are required (which unless I have paid off a debt, doesn’t happen very ofter) and that’s that. It usually takes 5 minutes to do the budget for the month. Oh, also, if anyone’s interested, I don’t use any computer programs for budgeting. I just use my trusty pencil and paper, A spiral notebook with all my figures and monthly budget. I think it’s easier to check everyday and simple to change as I need to. Any tips on getting my husband to do a budget? I have been trying for years, unsucessfully, to get him to sit down with me and we could create a budget together. No way, he won’t. It is starting to drive us into debt. I have no problems with creating the budget. I’m actually pretty good at that part. My problem comes with the daily updating. I don’t know where to put the updates. Do you just create a new column next to your budget column and keep running totals there? I may have just answered my own question, but I would love advice because hubby and I really want to be better about budgeting! Create the budget yourself, and then give it to him and tell him that he must make X number of changes to it. This may help to either open up a dialog or get him to “buy in” to the budget. Good luck. I agree that budgeting can be like getting a raise. I always kept a mental budget but after reading Dave Ramsey’s book, I actually put the numbers down and what a difference it makes. (you can get the budget form from his website) It only takes a few minutes at the beginning of the month. 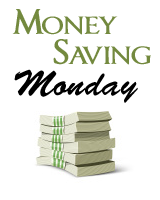 We have consistently saved more money since doing this – just wish we’d done it sooner! I totally agree with Lee that reading your site and Lynnae’s too really helps – thanks! Thanks for your response. I’ll take a look at the article you wrote. Crossing my fingers that it’ll work. We don’t have a budget because we don’t really need one; not because we’re rich. On the contrary, we live on a very small income, but we have gotten ourselves into a mindset to simply not spend money if/when we don’t need to, and when we do, to spend as little as possible. So in a way, we have a budget of $0 and try not to go over it too much. I wrote an article on this called the No-Budget System on my blog Our Fourpence Worth, in case anyone is interested. I think it is very important to keep some kind of budget but all of us have fallen for one of these excuses in the past. I am doing pretty good right now but at times like everyone I have a complete blow out and screw the budget for a period!!! I hate sitting down and doing a budget… I know it helps tremendously, but sometimes i just don’t want to sit down and do it. Which of the 3 budget making programs you recommended, so you recommend the most? My wife thinks that us sitting down and doing a budget will make the siutation even more stressful than it already is (which is pretty stressful) by puting pressure on her to not buy anything or even just by fucussing on our problems. If we don’t do a budget, we will soon be bankrupt from overspending. I explained to her that it would make the situation worse by ignoring the fact that we need to figure out the numbers instead of borrowing more, but she thinks that by doing this it makes the situation more stressful or that I don’t care about what she needs. I have tried to do a budget by myself because of her unwillingness to participate, but she complains and puts so much pressure on the topic of what she needs that the budget never is adhered to. Mind you, my family of three is on a VERY low income. Hope you have a suggestion or two. I like to budget my own money a lot my Parents thought me how to buy food at the grocery store, count my own cash by hand. 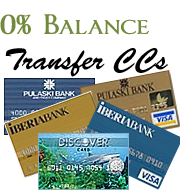 I have credit cards I use them once in a while if I want to buy Christmas gifts for myself or family members of my own back home in the Philippines and here in America.